Lon Chaney, Jr. prepares for an attack on Evelyn Ankers in "The Wolf Man". 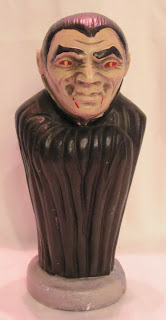 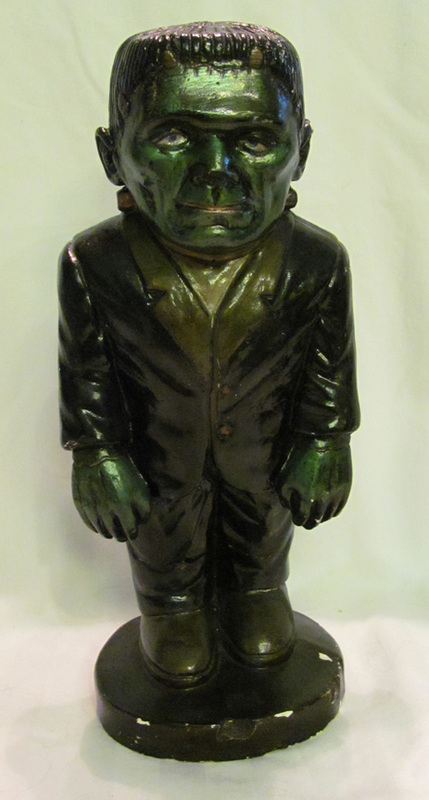 Here is an old Dracula statue from the 1970s. 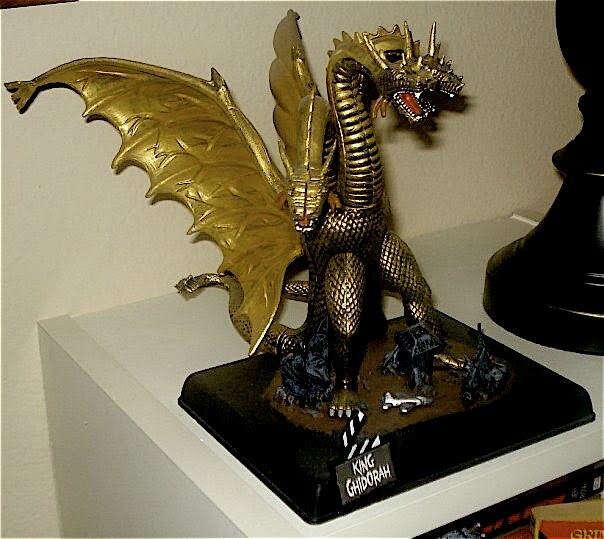 I love this thing. 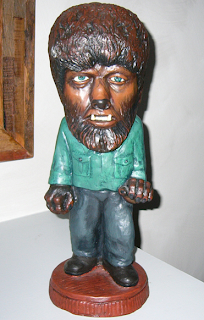 I have one myself. 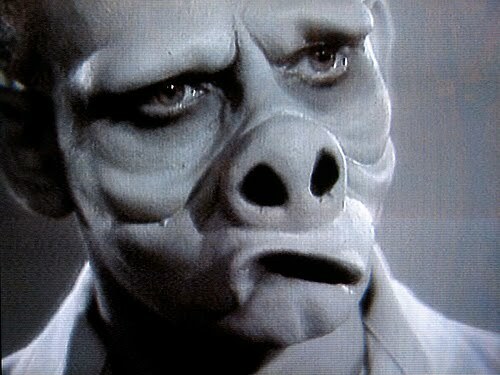 From one of the most famous episodes of "The Twilight Zone". 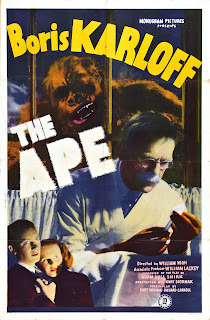 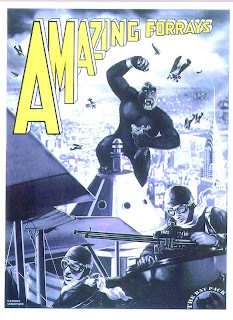 Monster Movie Posters: "The Ape"
I love this Wolf Man statue. I would love to have it one day! 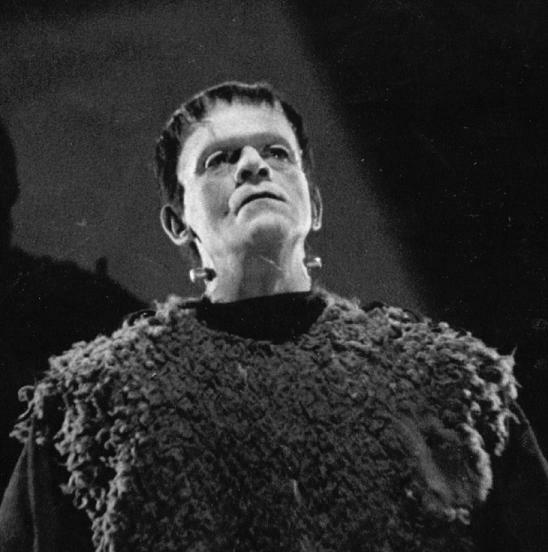 The villagers storm the Frankenstein Castle in "Son of Frankenstein". Notice Ygor in the window! Happy Thanksgiving From The Twilight Zone! 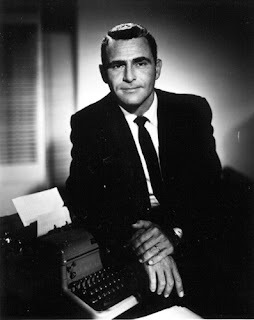 Below the picture of Rod Serling is a commercial for the KTLA Twilight Zone Marathon. 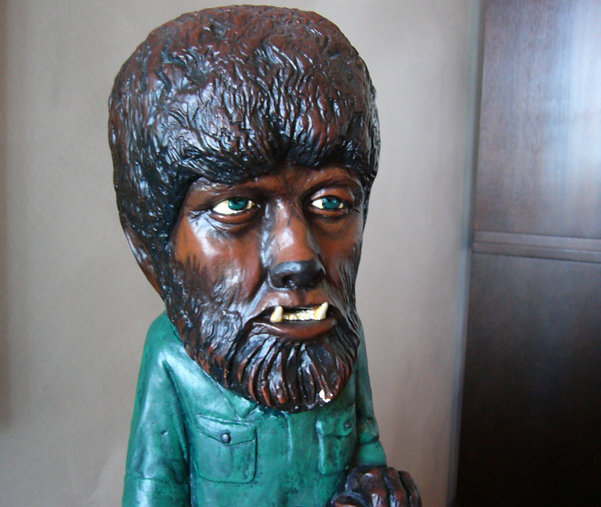 My uncle is the voice of Rod in this wonderful piece. 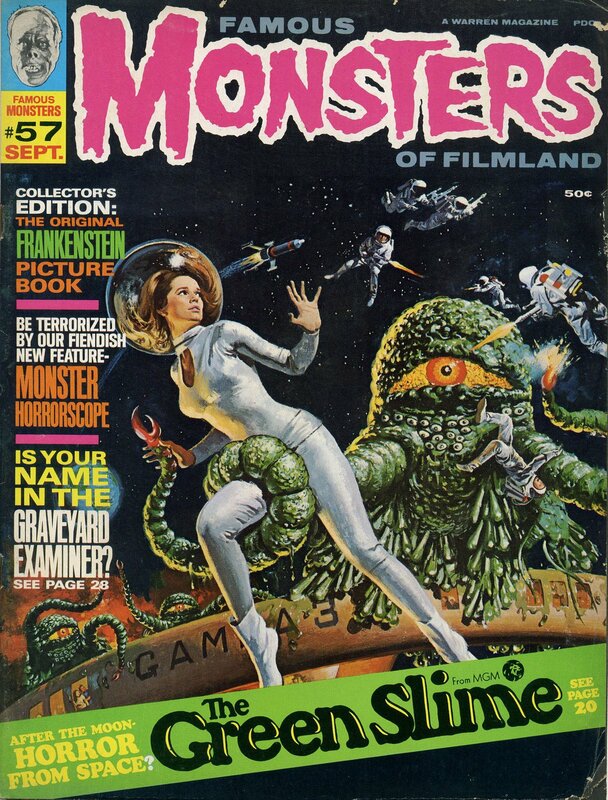 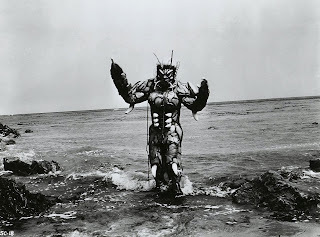 Today is Forrest J Ackerman's 94th Birthday! 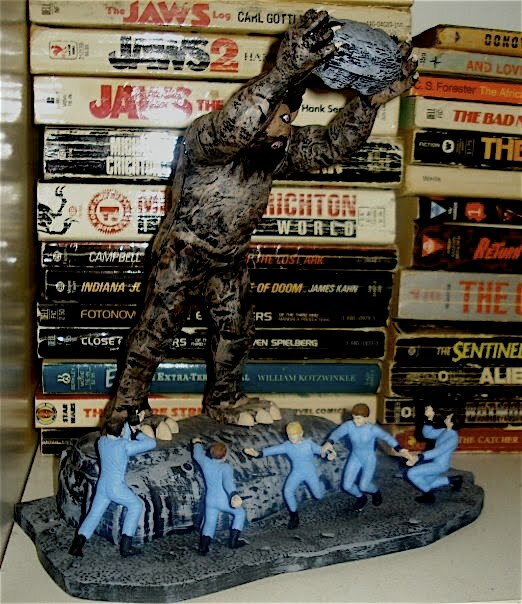 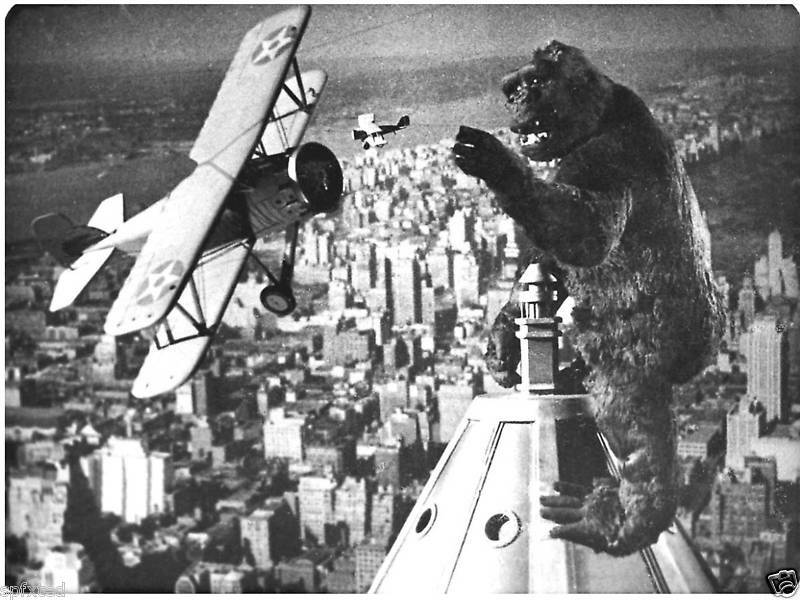 FJA in the grip of King Kong! 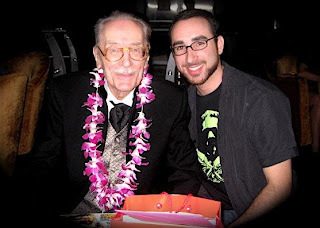 Forry and I on his 90th Birthday. 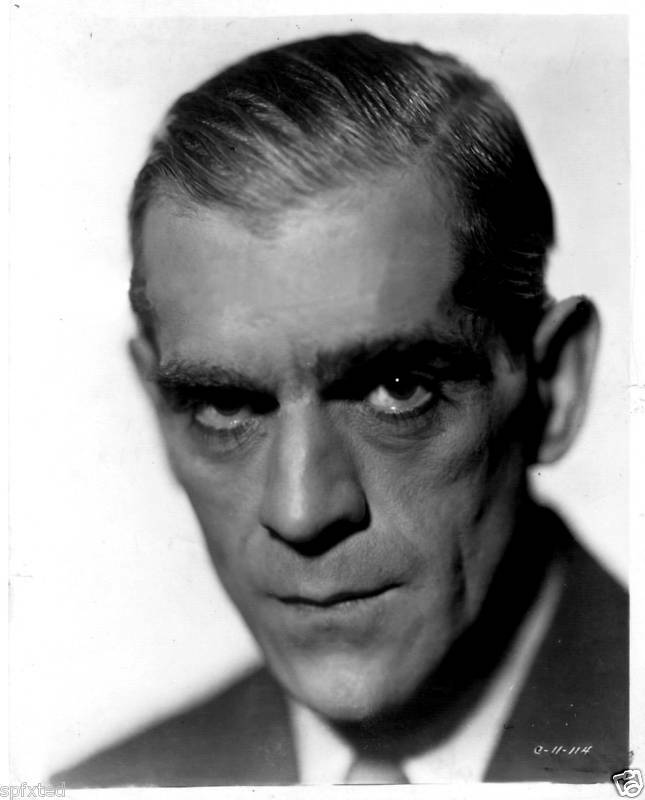 Here's Dr. Karloff in all his glory. 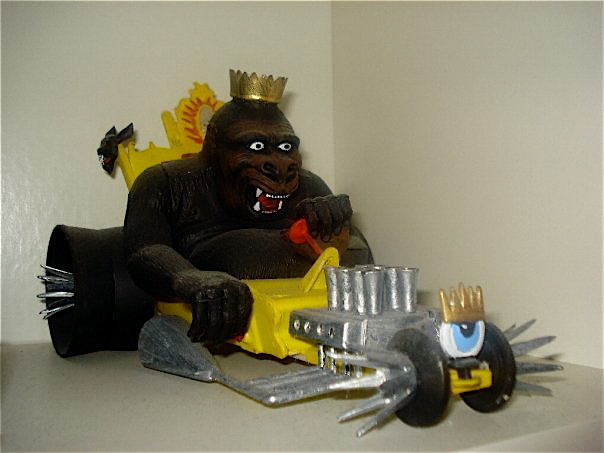 I think this still is from "Before I Hang". I don't know that movie too well to be certain. 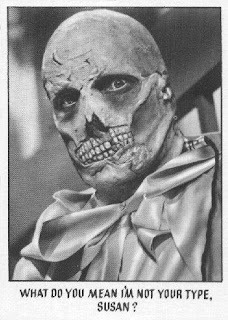 UPDATE: So it is looking like this still is from "The Boogie Man Will Get You". 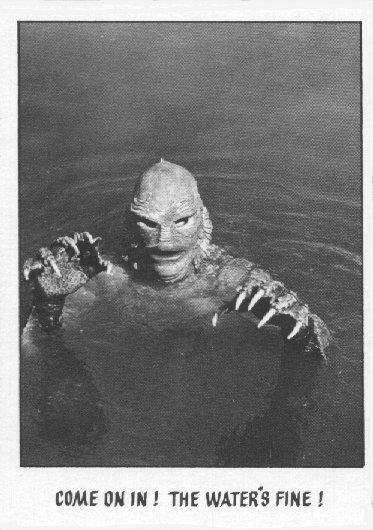 Thanks to Steve for clearing that up! 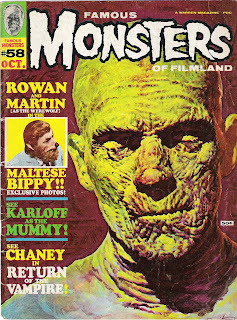 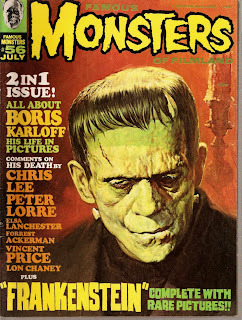 Today is Boris Karloff's Birthday. 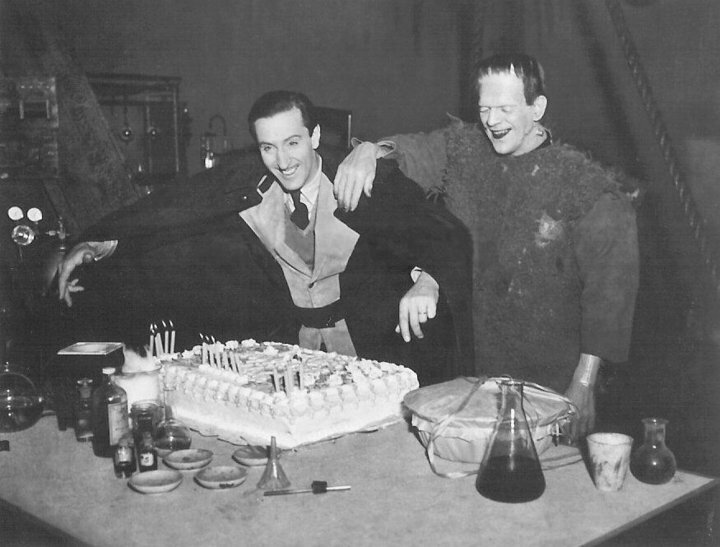 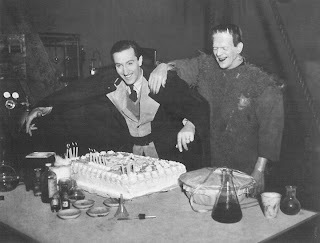 Here we see a group of pictures of Karloff celebrating his birthday on the set of "Son of Frankenstein". 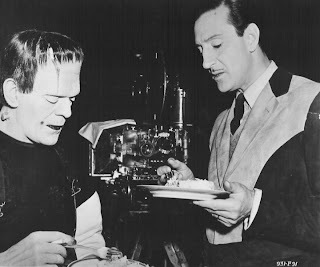 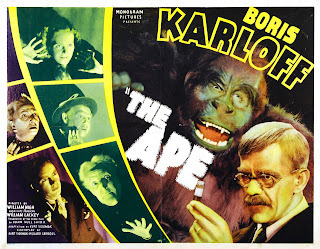 Basil Rathbone is stealing Karloff's Thunder! 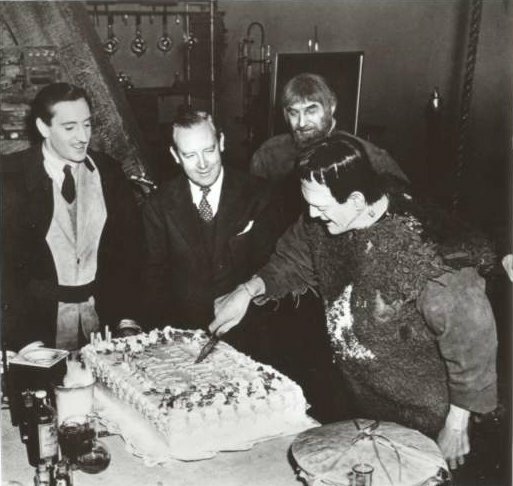 Boris and Basil enjoy the birthday cake! 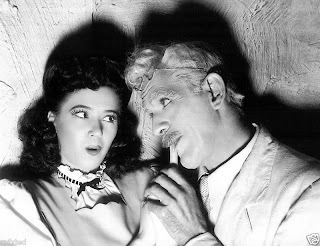 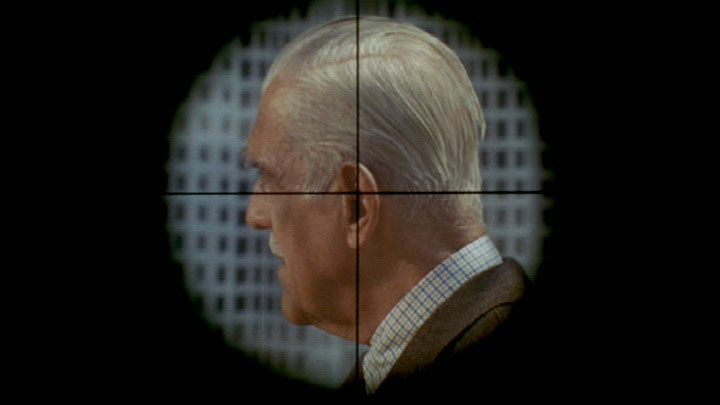 One of Karloff's last films was "Targets". 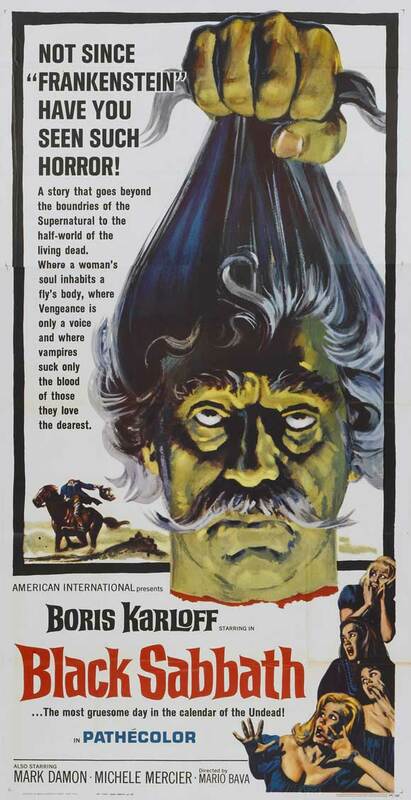 It really is a terrific film and Karloff is wonderful in it. 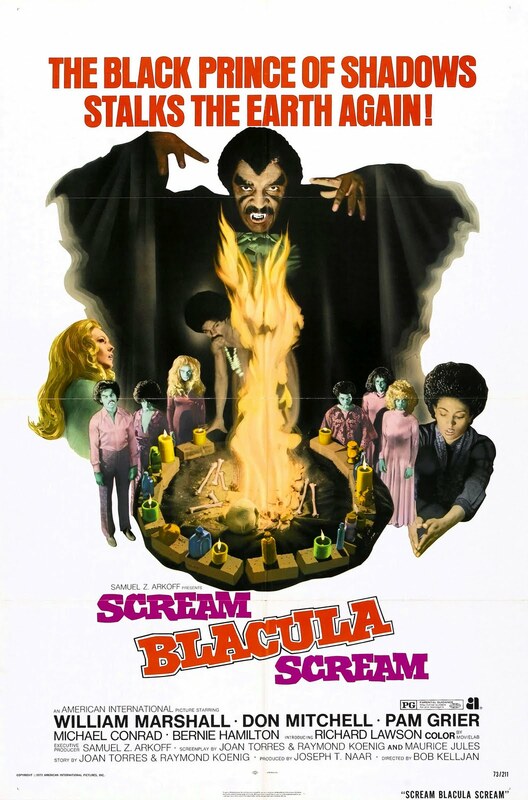 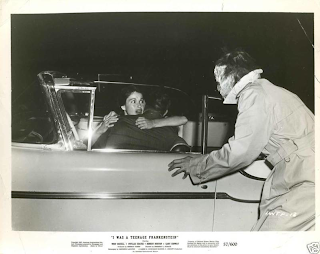 Monster Movie Posters: "Scream Blacula Scream"
Teenage Frankenstein catches a couple of frisky teens in "I Was A Teenage Frankenstein". 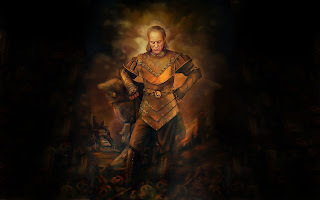 Here is that wonderful painting of Vigo the Carpathian from "Ghostbusters II". 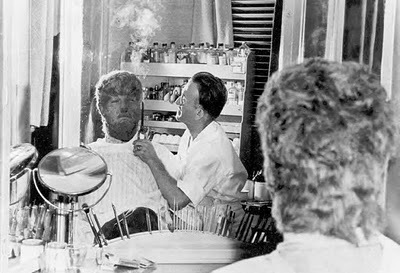 Jack Pierce puts a curl in Lon Chaney's fur for "Frankenstein Meets the Wolf Man". 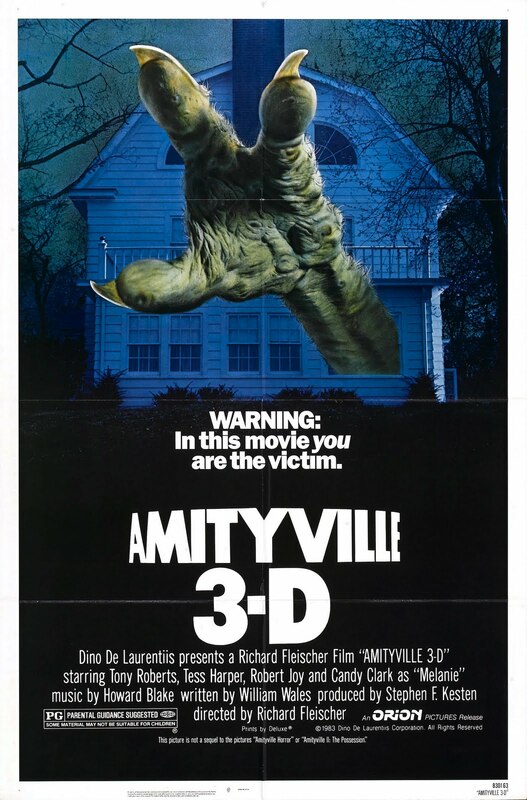 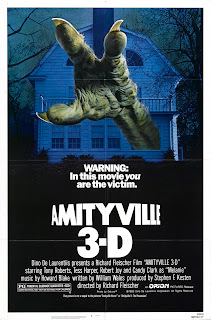 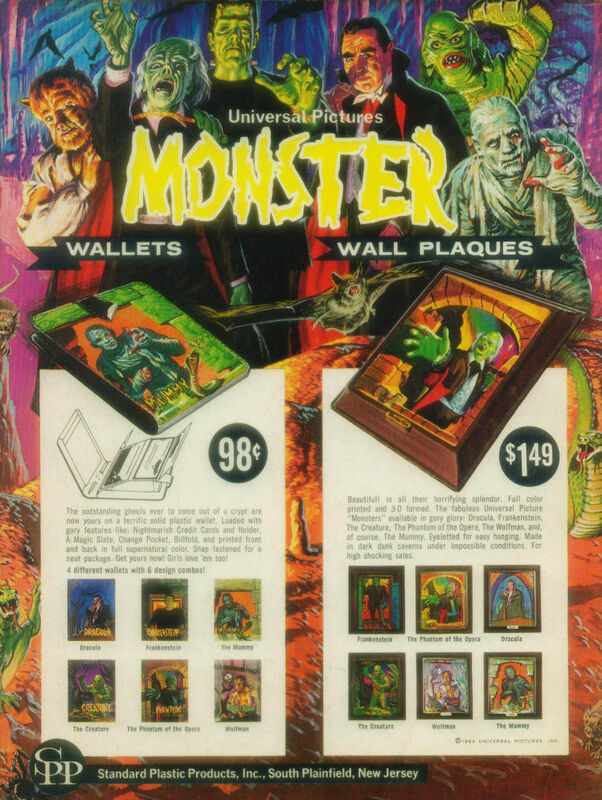 Monster Movie Posters: "Amityville 3-D"
Here's an old ad for Monster wallets and plaques. 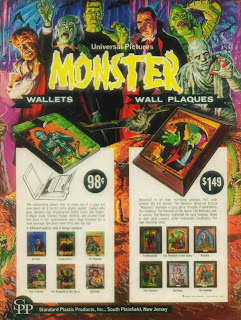 Get yours yesterday! 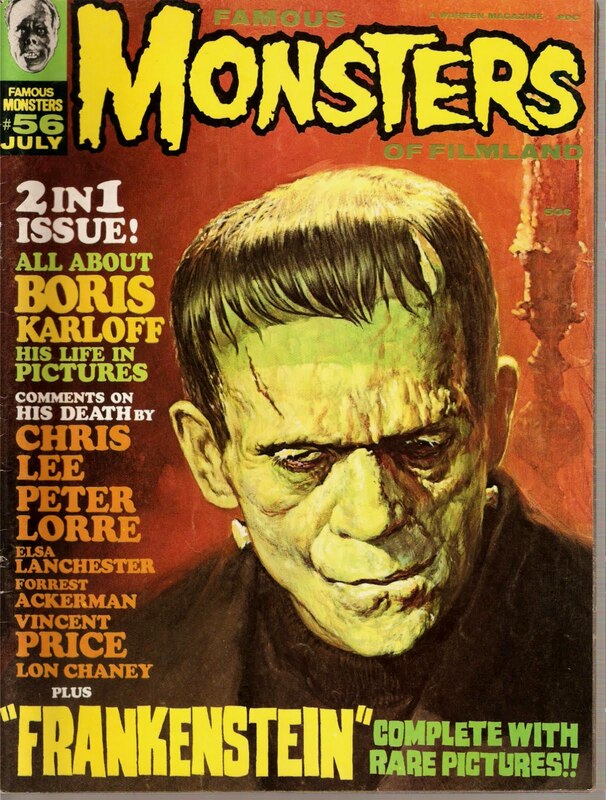 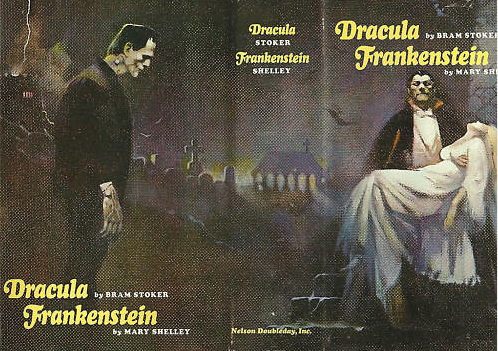 Monster Reading: "Frankenstein" and "Dracula"
Two spooks for the price of one! 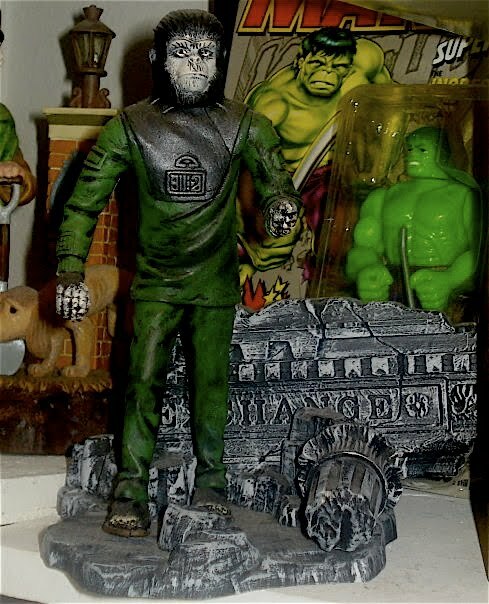 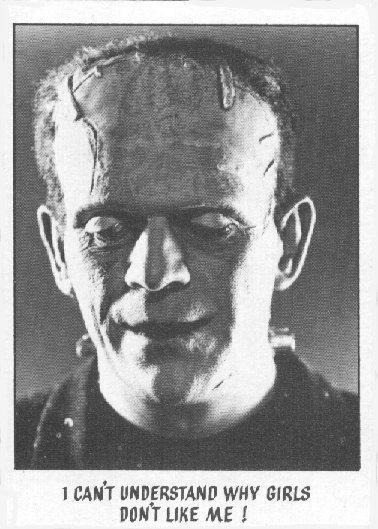 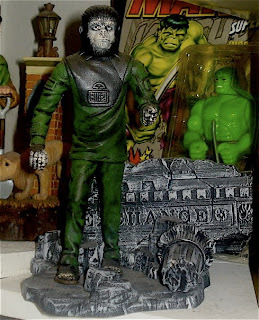 It's Karloff as the Frankenstein Monster from "Son of Frankenstein". 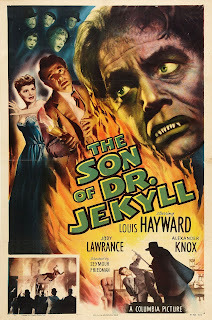 Monster Movie Posters: "The Son of Dr. Jekyll"
Henry Hull as the scientist turned werewolf in "Werewolf of London". 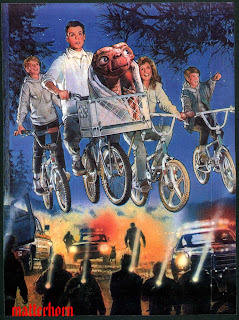 Here we have some artwork for the E.T. 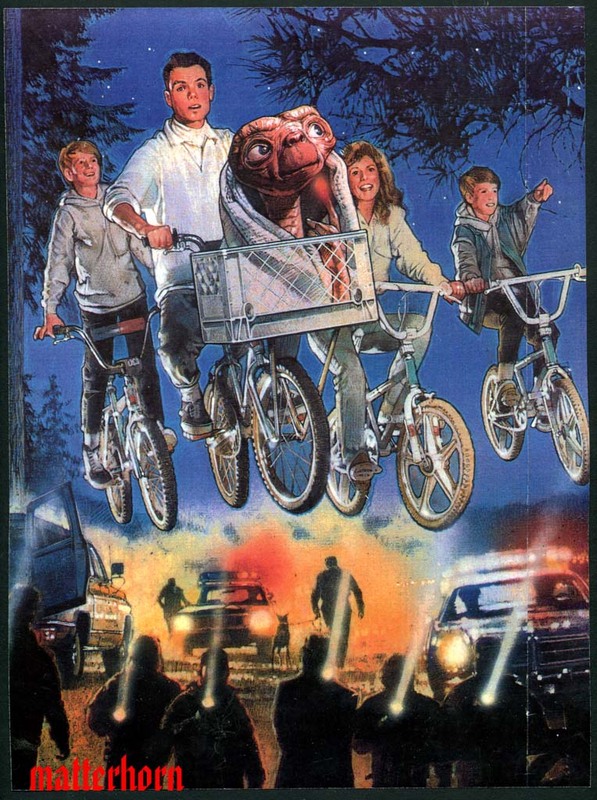 Ride at Universal Studios. Once again, thanks to "Stuff at the Park". 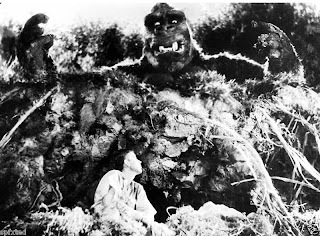 Kong tries to get the surviving victim from the log scene in "King Kong". 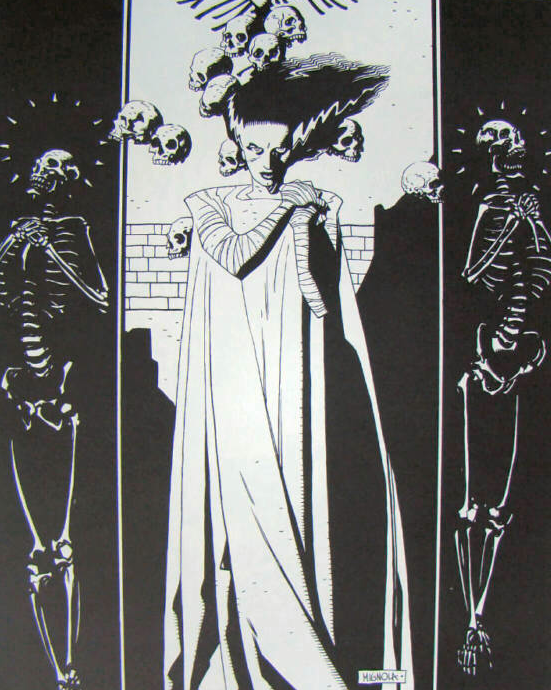 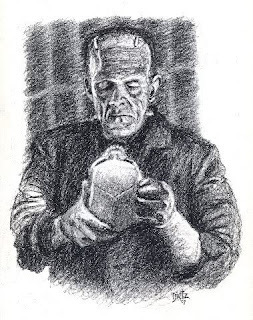 Frank Dietz is a wonderful artist who brings us this incredible drawing of Karloff as he appeared in "Bride of Frankenstein". 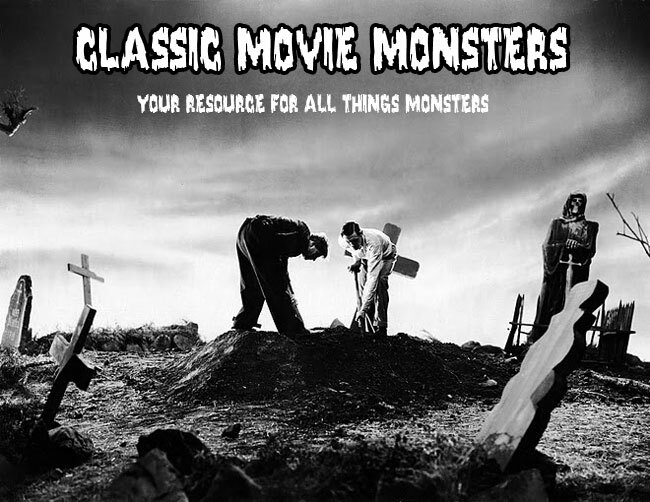 Monster Movie Posters: "Black Sabbath"
The Monster can't wait to meet his mate in "Bride of Frankenstein". 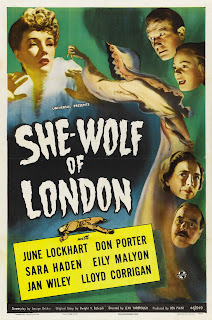 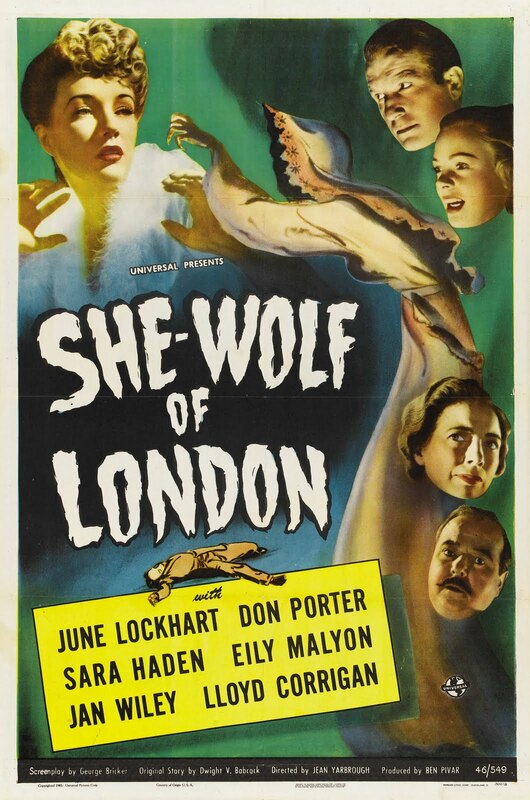 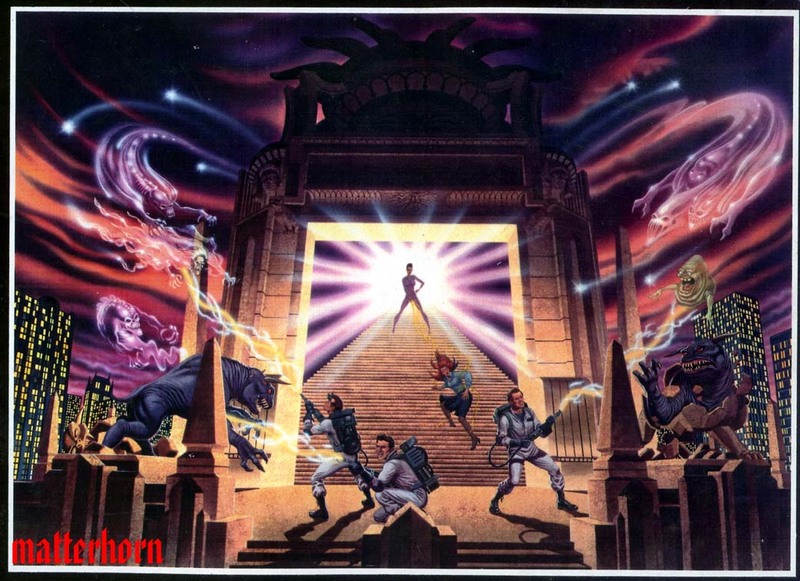 Monster Movie Posters: "She-Wolf of London"
Here is concept art for a proposed "Ghostbusters" show at Universal Studios. 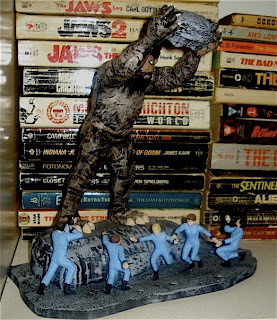 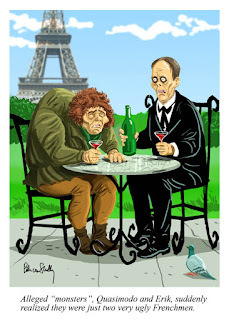 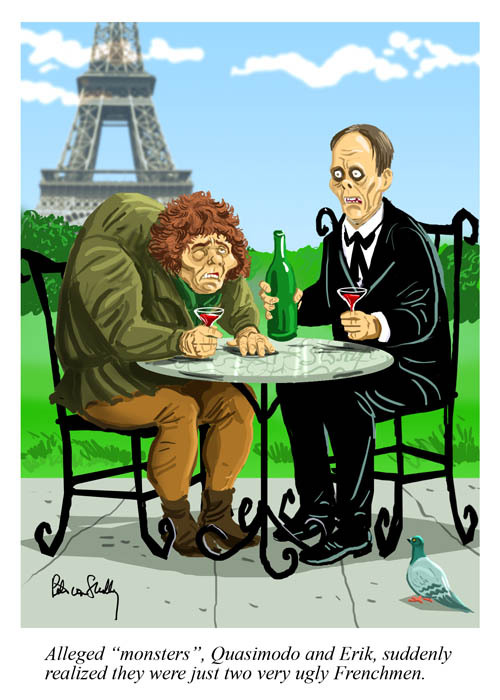 Thanks to "Stuff From the Park" for posting these great pieces of art. 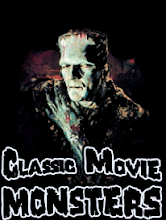 Click Here to visit their site. Monster Movie Posters: "Halloween II"
The Hands of a Madman!